Welcome to All Carpets, your last stop for all your carpet, rug, upholstery, steam cleaning and repair needs! Welcome to All Carpets! 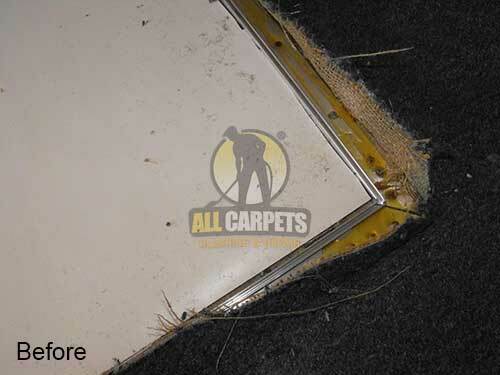 Australia's leading carpet cleaning and repair specialists. By choosing All Carpets you can expect quality cleaning along with friendly and knowledgeable customer service. We have been in the business for years and pride ourselves on happy and satisfied customers. We specialise in variety or services and have an excellent team of the most skilled and highly trained technicians. Each and every one of them is an expert in the work that they do. Our cleaning services include wet and dry extraction methods on carpets, rugs and upholstery. We also clean delicate fabrics such like velvet and silk as well as delicate rugs such as Turkish, Persian, antique and handmade. All of the cleaning products that we use are absolutely non-toxic and environmentally safe for you children and pets. Since we have built our business on client referrals we strive to demonstrate this guiding principle in every carpet, rug, and upholstery that we clean. When you choose our services you can be sure that you are in safe hands and will be taken care of. We are fully licensed and insured so you won't have to worry about liability. We also offer 24/7 emergency services and will be at your home within 90 minutes to help you when you're in need. If you have a problem with your carpets after we complete a job, we will happily return to re-clean the area for you so you are 100% satisfied. We will also provide you with a discount coupon that you can present to us when we see you again. Here are some of the services that we specialise in! WATER DAMAGE REPAIR Have you just had a flood from a frozen pipe that broke, a backed up sewer, a water main cracking, a dishwasher hose springing a leak under the floor, a washing machine hose splitting while you're at work or even the cat pushing the faucet on while you're on vacation? Luckily we offer a 24 hour emergency water restoration service to help right away. We can be on the site within 90 minutes no matter what time it is and will be there to extract the water and start the drying process. In the end we will clean and deodorise your carpet turning your nightmare into a dream! Please no need to look further, give us a call if you are having an emergency and we can help. CARPET STEAM CLEANING AND STAIN REMOVAL Selling your home and need your carpets to look brand new again? Or maybe your carpets have stains like pet urine, odours, rust, ink, gum, tar, oil, grease, red wine or coffee soiling them? You are in need of stain removal and a good deep steam clean from us here at All Carpets! Give us a call and we can help fix your problem. Our professional cleaning team will tell you if your carpet calls for cleaning, steam clean is the best possible method to use for the deepest clean that you can get. The heat of the steam alone is able to rid your home of unseen allergens and bacteria as well as visible dirt and grease! We will gladly remove all stains and have your carpets looking new and smelling fresh in no time! Book you appointment with us today and you will not be disappointed! CARPET FITTING Just bought a new carpet and need help fitting and installing it in your home? We are very happy to provide you with a labor only carpet fitting service for carpets that you may already have acquired from another source! 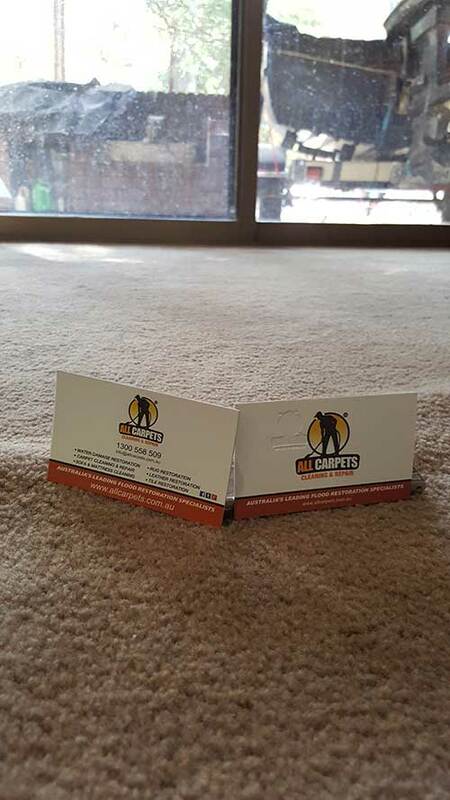 We understand that you may have bought a new carpet from an Internet supplier or a carpet retailer who does not offer a carpet fitting service and we are more then happy to help you get your carpet installed, fit and looking perfect! 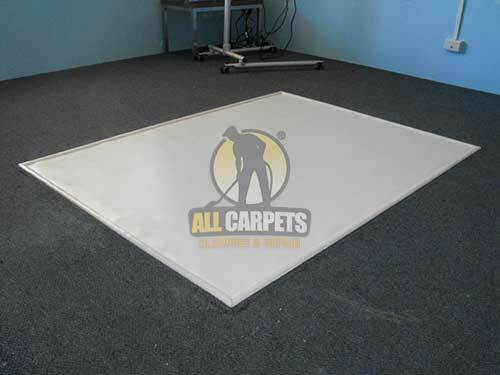 No matter the size of the carpet or we will do a perfect job each and every time. We promise to provide you with only the most skilled craftsman to get the job done. 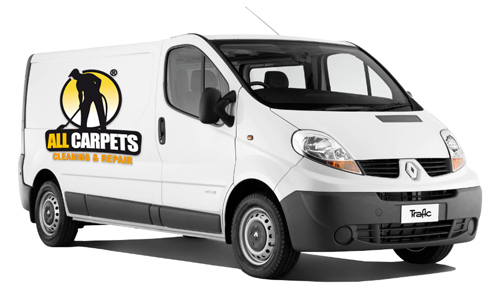 Please give us a call with any questions about fitting your carpet and we will be happy to answer them. CARPET REPAIR Do you have carpet damage from cigarette burns, iron burns, bleach, red wine, pet stains, tears and rips etc.? We have the most skilled technicians to help repair your damaged carpet. The method used to repairing these problems involves cutting out the affected area and then replacing it with a spare piece of carpet, which has been cut to fit. The carpet repair is then glued into position. It is fast, easy and fool proof. You cannot tell where the damage even was when we are done repairing your carpet. It is a great service to use if you don't want to replace your whole carpet! Also if you don't have an extra piece of carpet we have other methods. Feel free to give us a call with any questions that need to be answered. CARPET STRETCHING Is the carpet in your office or home loose, baggy, wrinkled or wavy and becoming a big problem or hazard? Our knowledgeable and skilled technicians can stretch your carpet tight and have it back to normal in no time at all. The process is very fast and easy. It involves one of out professionals taking the carpet up around the edges, carrying out the carpet stretching it and then re-fitting. Ending with trimming off the surplus carpet. The procedure is very effective and cost efficient if you don't want to have your carpet replaced. CARPET PROTECTION Have you just bought a new carpet and need to have it protected before your kids or pets stain it permanently? Carpet protection will prevent spills, stains and dirt from sinking in and sticking to the fibres in your carpet preventing any permanent damage. It is very wise to have your new carpets protected and we always recommend it, think of it as an investment as it provides protection that keeps them looking cleaner for a longer period of time, even after heavy traffic. With regular vacuuming, protection can remain effective for up to three years, or up to 3 steam cleans. SOFA CLEANING Is your furniture looking old and dull and starting to develop and old smell? Our steam-heat extraction upholstery cleaning is guaranteed to leave your fabric settees, sofas and armchairs in pristine, brand-new condition looking good and smelling fresh. We will come to you so you don't have to deal with the cost or hassle of removing them from your home. All our cleaning services take place on site so you don't have to lift a finger. We will clean, protect and refresh you furniture leaving it looking brand new. RUG CLEANING Do you own expensive rugs that you are worried about having cleaned because the colour is so vibrant or the rug is so delicate? We pride ourselves with a long and respected tradition in the field of specialty rug cleaning & restoration. We are knowledgeable in the ways of all different types of area rugs and how each one should be cleaned. Our expertly trained technicians begin the cleaning process by identifying fibres and dyestuff so that they are sure that the cleaning method applied is the very best for your particular rug. We don't start anything until we test first. You can read more information in out Rug Cleaning FAQs section. MATTRESS CLEANING Have you just bought a second hand mattress from someone and would like it cleaned and sanitised before you use it? Have you had your own mattress for more then 6 months and have not had it cleaned or protected yet? We provide the very best mattress cleaning service that includes a process that kills all viruses, spores and bacteria within the mattress. Afterward, we apply an all-natural, hygienic mattress spray, which is anti-bacterial and an insect repellent. See our section on Mattress Cleaning for more FAQs for more information. We recommend you have your mattress cleaned at least every year so it stays clean and fresh and you stay safe and healthy. LEATHER CLEANING Got a nice leather couch that is looking a little run down and dry and is in need of a good cleaning and conditioning? Leather needs to be maintained and our technicians can recommend a maintenance regime, which will make your suite last years longer and look much better. Remember, leather is not a maintenance free product! We can do an excellent job deep cleaning and conditioning your leather so it's soft and lush once again. TILE AND GROUT CLEANING Are you tiles in need of some shine and your grout is in need of some brightening up? Our equipment can handle both domestic and commercial cleaning jobs, leaving your floors spotless and hygienic! Please see out Tile and Grout FAQs section. VINYL CLEANING AND SEALING Are your vinyl floors are looking old and dull and in need of re-polishing? 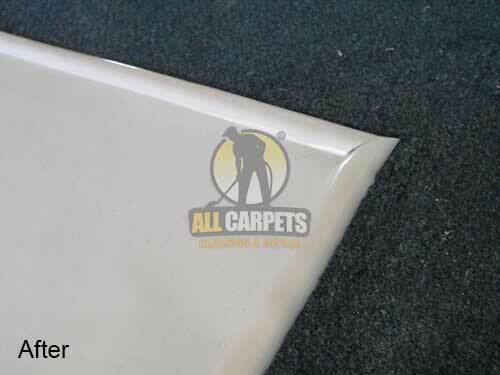 If your vinyl floors are dull or discoloured we can strip old sealers and reseal them with a high quality gloss finish to restore the look of the vinyl. Resealing will also extend the wear of your floors and reduce the appearance of marks and scratches and also guard against dirt penetration and abrasion. Your venal floors will be looking shiny and new in no time. WOOD FLOOR WAXING Wood floor in need of some waxing and buffing to bring out its natural beauty and shine again? We offer an amazing wood floor waxing service! You can be sure that your floor will look more alive after the treatment. It will be clean, shiny and well protected. Why should I get my carpet rug or sofa protected? It is wise for you to get your carpet, rug or sofa protected for the following reasons. Will you be able to remove all my stains? Yes. We use powerful equipment that extracts the majority of the water immediately from the carpet fibres. The surfaces below the fibres should not get damp. In most cases, the carpet should be completely dry within 2 to 4 hours (depending on the humidity and air flow). Are you cleaning products safe for my children and pets? For more visit our frequently asked questions page. We cover SYDNEY , BRISBANE , PERTH , MELBOURNE , ADELAIDE , CANBERRA and GOLD COAST! We always provide excellent service and spectacular results each and every time we clean. Satisfaction guaranteed! All Carpets specialises in providing high quality Commercial and Residential Carpet, Rug and Upholstery Cleaning services to customers throughout Sydney / Brisbane / Perth / Melbourne/ Adelaide / Canberra / Gold Coast Metropolitan areas. All our cleaners are highly trained and experienced and the company has always guaranteed the quality of their work. Courteous, professional technicians trained on how to use the latest equipment and technology. 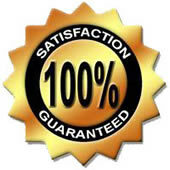 We will always make sure you are 100% satisfied with our service each and every time guaranteed. Extra attention will be paid to trouble spots and heavy traffic areas to make sure you receive the best possible results. Normal spotting and stain removal is included in our cleaning price and our steam cleaning process so you will not be overcharged for extra stains. Specialised Protectors and Deodorisers for fresh and healthy end results. No hidden charges or fees and very competitive prices. Our services are available in all Sydney, Melbourne, Brisbane, Perth, Adelaide, Canberra, Gold Coast, Hobart suburbs. Call now 0432 017 711 for more information. Carpet steam cleaning is the only cleaning method classified as DEEP CLEANING. All the other cleaning methods are considered light suffice cleaning because they are incapable of removing deep soil and stains. All Carpets uses the steam cleaning method to provide you with the best possible deep clean that you can get. The steam cleaning process consists of spraying a spraying a non toxic environmentally friendly solution of water and detergent onto the carpet and recovering the water and soil with a powerful vacuums slot immediately in front of the spray. The spray forces dirt out of the carpet providing you with the deepest and most effective clean. I had some pretty bad stains on my carpet and I was nervous that they were not going to come out. The results ended up being better then I could have imagined. The ALL CARPETS team went beyond what I expected going over the stains two or three times making sure any trace was eliminated. My carpets ended up looking brand new.